A keylogger, according to its name is an investigating or surveillance type software/spyware used for documentation of any single changes or entry made in the register file. The data in the archive is usually concealed or encrypted. A keylogger record any instantaneous form of messages typed by the user using the keyboard such as email, messages, even website URLs visited by the user. The recorded messages can be sent to any registered receiver for that keylogger data. Keyloggers are used for making sure that a given work is being properly carried out by the employee of any company (for preventing any misuse of computers) or to monitor one’s computer so that any friend is not using it wrongly. The only downside is that any information can be seen by any third party and thus making that info unsafe. 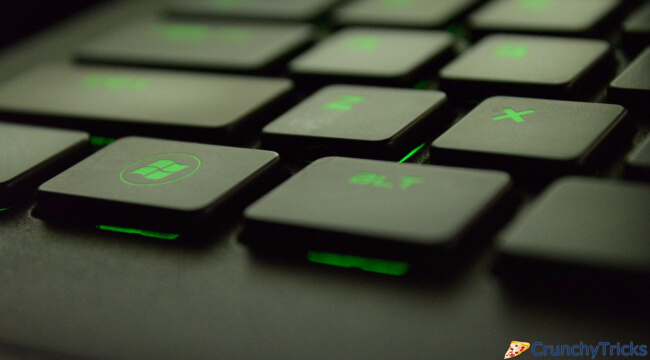 Here is the list of top 10 keyloggers used for windows. It’s pretty easy to install on computers or laptop. Once installed its interface will pop up showing various buttons which will be used for scrutinizing the activity in the future. The menu includes options for starting/stopping the monitoring, clearing the logs, hiding, etc. Also, it shows the current running status of all the programs along with screen shots of the window if required. The best part is the program’s ability to hide from the prying eyes of anyone looking for it. Any file, folder, the shortcut can be easily hidden. Moreover, it takes very less space (approx 2 MB) on the hard disk. Use it for monitoring your children’s activity on the Internet. Only trial version is available for free. One has to buy the full package to experience all the features to its full capacity. Apart from being a keylogger, this software also blocks and filters suspicious sites and activities. It has a feature known as spouse monitoring software which is used to keep a log of every outgoing or incoming connection requests and view messages of both sides if any conversation happened. It keeps even the smallest details of any online activity. Two installation option: Administrator/ Tester mode and stealth mode are present to choose from. Tester method is for amateurs, and the stealth mode is for advanced users. Details of the activity can be collected via any portable or non-portable method such as email or pen drive etc. And it only requires 3MB of storage data. All the features of this keylogger are almost same as that any other keylogger. That is, it has extraordinary investigating powers such as giving a thorough report of any suspicious activity performed on your system in your absence by your relatives, friends or unknown person. It also has microphone keylogging i.e. it can record any voices nearby the range of your computer microphone. Also if anyone is doing nothing, it also records that time. It supports file encryption of any document. It can be downloaded for free on any system, not like some keylogger which is only available as a trial version. If anyone other than the owner uses any password to log in to some websites, then that password will be saved on the system. So even after being logged out one’s employer or parents will be able to use that password to log in again and see their activities. Above all, it records the number of time one visit a site. Its drawbacks include its inability to block any inappropriate websites and tracking any newly made document. It is available for a three days trial version on its official website. Just make an account after downloading the software and then you can see the full history of any past session. Even if the account is being deleted, again and again, Refog will save it. Since its password protected, no one will have the slightest idea of any ongoing scrutiny as it is very hard to locate the software. Screen shots option is also available. Suppose you are employing a number of staffs and you want to keep a record of every website he/she visits and also the data usage. This software keeps track of how much time a person spends on any particular site along with its name. Thus you can make a statistics report and can improve the situation. Also apart from keeping system secure from children, this software is used in an official capacity to catch bad guys. Small size great performance. It includes all the features of all the keylogger mentioned till now. In this software, there is an option to monitor only selected users if needed. That is some people you trust, and some don’t, so using this you can record only the surfing of that shady person. One can view the log of all the activities at any time. And block all the sites or few ones (same with computer programs). It’s blocking technique is much better than some of the keylogger. This is the most basic software which is designed for users whose children don’t know about the keylogger. It’s because the user will not be able to hide the software from the program menu and thus if their kids (advanced) who knows what a keylogger is will uninstall the app. Moving forward towards the interface, this software is pretty much easy to use, and parents can select whatever program they want to monitor. Set a password for the app so that kid won’t be able to access it. The software has the basic operations and function of any standard keylogger. PC Pandora can be used in two ways: visible and invisible way. Hidden mode, the other user on one’s computer will know about the scrutinizing process and thus will try to restrict his/her net usage. Opposite to this mode is invisible or stealth mode in which one won’t know that his activity is being recorded or watched. The app keeps the log of all the activities from password to time taken on each website. And moreover, you can set the time at which some sites are going to be blocked. This software is not available for free. First of all the software can be installed on any computer even from a remote location. And also can see the activities by logging in anytime from anywhere. One can block any site or program by specifying its name or its category. While installing the program, a link is sent to the registered email to proceed further. The usage is very easy to control, and the app has all its necessary operations to perform. Next articlePlanet Assault Review: Ready to Bomb in the Space?